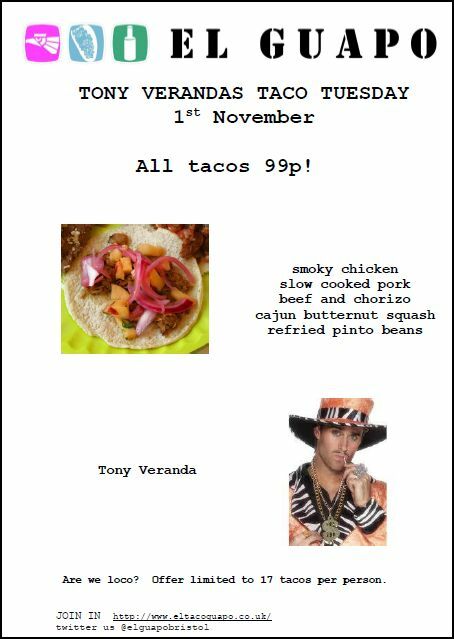 Tacos for 99p at El Guapo this Tuesday, November 1st! See image below for details. Too good to miss!